We have just updated ridetoendobesity.com – check it out. 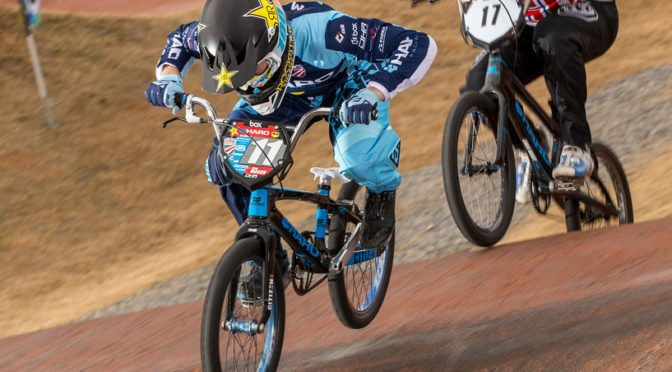 Big turn out for the Team over the weekend in Atlanta at the Dixieland Nationals, recognized as one of the best stops on the USA BMX Tour with a top-notch facility and friendly atmosphere from Margie Hatfield and her crew at Cobb County BMX. Kamren Larson continued his great form coming away from the weekend with a 1st and 2nd and another nice deposit to take to the bank for his weekend’s work. Both Noah Ramos and Cam Mason in 16x had a consistent weekend making the mains both days and with best finishes of 4th each. Our girls were on a mission this weekend. Birthday girl Brooke Craft doubled Saturday, then upped an age on Sunday and came in a respectable 3rd place. Payton Ridenour had a few problems on the gate Saturday during the main but was on a mission Sunday taking the win from the start and never looking back. Madelynn DeSantis dominated all weekend long on both the 20 and 24 doubling both days and adding more points in the bank for the year-end title chase on both bikes. In all, a great weekend for our team. Kamren Larsen now heads out to Europe for the next 2 rounds of the World Cup, with our team riders on the west coast heading out to Lake Perris for the Tangent Pro Am next weekend. As always, big thank you to all out team sponsors for keeping this team rolling. 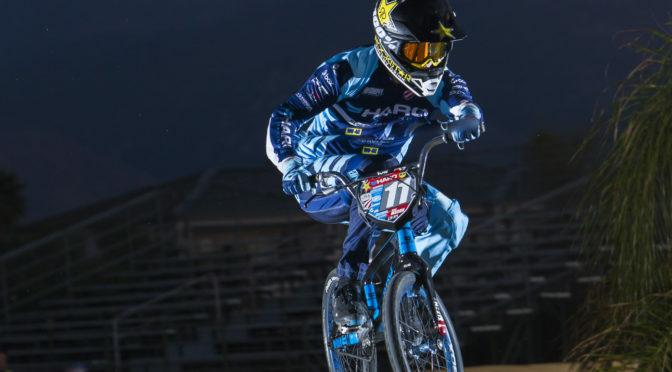 USA Cycling, Haro Bikes, Rockstar Energy, Dale Holmes Racing, wd40Bike, Barona Casino, ride100percent, Answer Racing, Shimano, ODIGrips, Box Components, Tioga, HRP Designs, Wheelbuilder.com. Perfect weekend up in Oregon for Madelynn DeSantis at the Great North West Nationals winning Open & Class both days. Madelynn continues a great start to the year with the team as we move into the summer. She’s not just on a BMX but also ripping it up on the Mountain bike as well racing XC over in So-Cal. 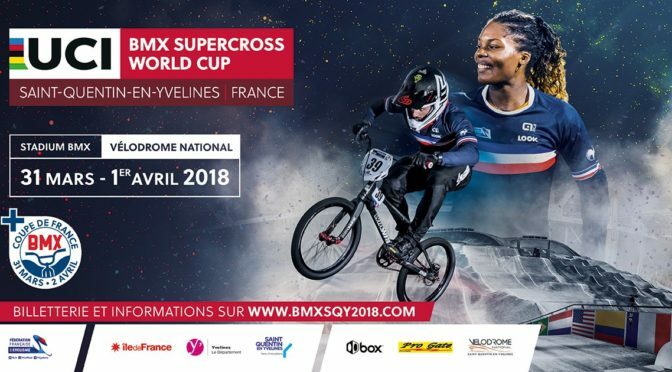 Big props to our Kamren Larsen finishing up his first weekend on the International front in Paris at the first World Cup of the year. Kamren made his first trip with Team USA overseas and did himself and all of us proud. He put in some solid laps over the weekend with lots of experience now in the bag racing the best guys in the World. Lots to build on moving forward. It’s been cold, and at times, wet conditions for the Carolina Nationals in Rock Hill over the weekend. 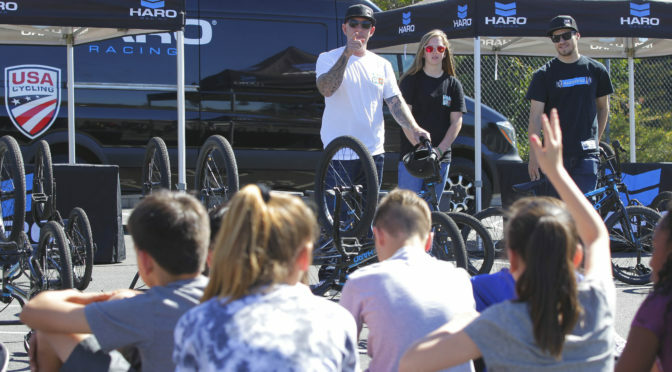 The team headed out to South Carolina, host of last year’s UCI World Championships, for the next stop on the USA BMX National Tour. 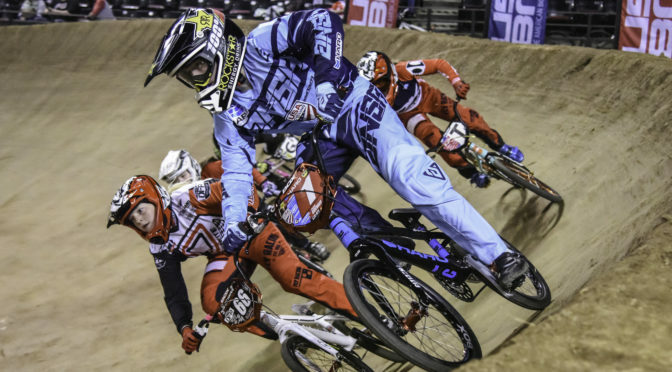 Kamren Larsen was looking to continue his good start to his Pro career in Rock Hill grabbing the Hole Shot Award during Friday’s A Pro Final but a little mistake on the second straight cost him to drop back a few positions to 5th place. He came back strong on Saturday and took the win along with the cash in the bank for his trouble. 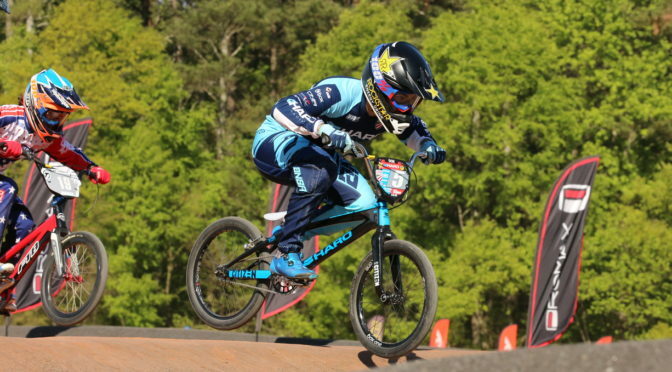 Kamren now heads straight out to Paris for the first round of the UCI World Cup next weekend and a chance to gain some experience on the International front. Payton Ridenour continues to ease into SX on the Big Hill racing Friday’s SX Open and hitting the podium with a good 2nd place. P-Nut also made it into the main events both Saturday and Sunday on the regular track with her best place finishing Sunday with a 2nd. Brooke Craft made her first trip out East with the team and came out swinging winning Saturday’s main event in her class. Cam Mason was on his home turf this weekend, as Rock Hill is his local track. Cam rode solid all weekend placing 4th in the SX Open backing it up with a 2nd place in 16 x on Saturday and was back in the main on Sunday. In all, a great weekend for the team, next up on the domestic front will be the Dixieland Nationals April 20-22 in Atlanta. 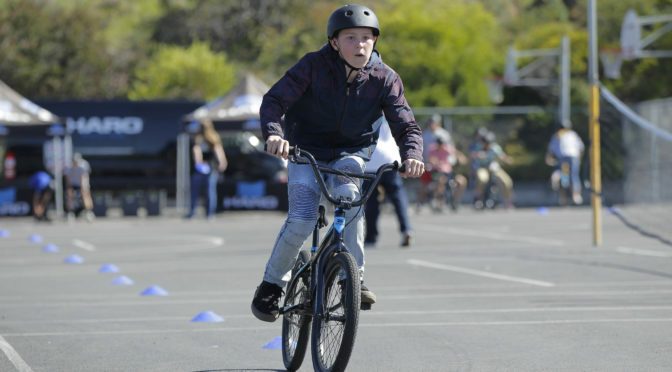 BMX Pro for a Week Summer 2018 CAMP DATES – San Diego. Register now! Age / class / years racing? 16yrs old and I race 16 expert. I have been racing for 11 years. I started when I was 6yrs old. My parents bought me a freestyle DK for Christmas and ramps and it was just natural for me. My Dad who is from Scotland, raced there when he was younger and he said let’s find the local BMX track, which was southern Maryland BMX. Shortly thereafter, I started racing for a local bike shop called Mikes bikes. Ever since BMX has been my passion. I live in Huntersville, NC and my local track is the Novant Health BMX Supercross track in Rockhill, SC. I moved here 3 ½ years ago from Maryland for the Rockhill track. The 2018 season has started off pretty good. I have gotten into most mains that I would normally not make this time of year due to just aging up. I’m definitely bummed that I didn’t make the junior men team for this year but I definitely have my eye on 2019 for junior men. What kinds of racing do you like – the traditional track or SX? SX is my passion because I love to jump and go fast! I do still enjoy traditional racing, I love all racing and have even done some mountain bike racing. I really like the adrenalin and competition. Name a few of your favorite tracks in the US? My all time favorite is South Park in Pittsburg, PA. I love this track because it’s downhill and one of the fastest tracks I have ever ridden. I was the youngest to jump the pro set at 11yrs old with the help of Justin Posey. Louisville, Kentucky is my 2nd favorite track. I really like their pro set Oldsmar, Florida is also a favorite because it’s technical. 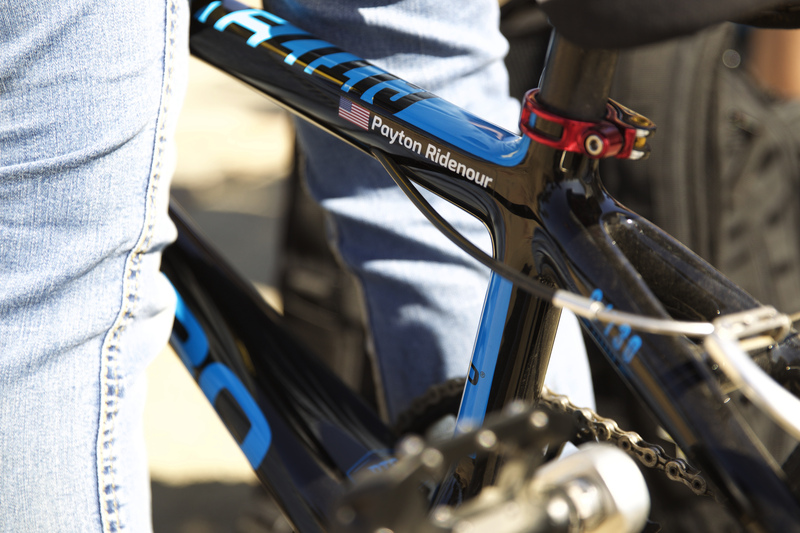 You just spent a few weeks out West with your team riding Chula Vista on the big tracks and trails, how was the trip? My trip was amazing! I love riding the tracks out there, and the photo shoots were pretty sick. The facility is so awesome I could live there! It was such a great opportunity to be on the big hill with the pros and training in the gym with them. Who are some of the riders you look up to and why? Conner because his laps are always perfect and he is consistent. Corben because of his skill and style on the bike. Also Justin Posey because he has influenced me in my riding and he’s gotten me to try new things over the years and helps me feel like I can accomplish anything. How are things on the US Development Team with Team USA and your new Coach, Arielle Verhaaren? Things are awesome on the team! I’m excited to be riding for Team USA. It’s a dream come true! Arielle is great I feel she is going to get me where I want to be and has my best interest at heart. Her workouts are tough and I like that because I can already see my body and mind changing. Who are some of the riders you like to ride with back home? I ride with Cole Tesar, Brady Kincheloe and KJ Romero and right now, Alfredo Campo is here and will be here for next 5 months – he really helps me out a lot and it’s awesome to get to ride with an Olympian every day. Cole Tesar was my coach for the past 4yrs until getting on the US Development team. Cole has been a huge part of my life from a coach to a best friend and has helped me develop into the rider I am today. I love riding wit KJ because he always keeps it fun and has a smile on his face no matter if he gets 1st or last. What are your goals for the remainder of the year? My goals are to get stronger and have more confidence in myself and to always keep it fun. And, to be in the top 5 Nag Riders. To make junior men for 2019 and to one day make the Olympic team and WIN!! 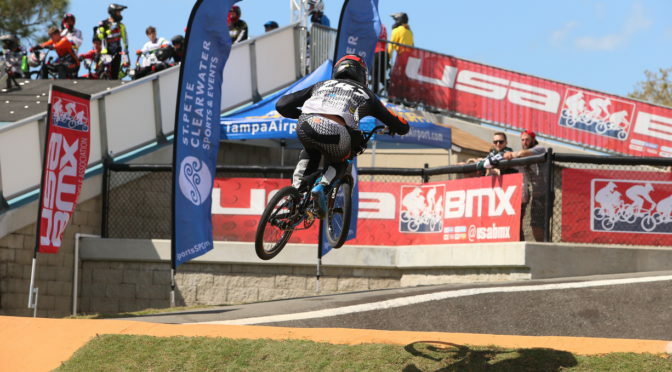 The Team headed out to Oldsmar for the next stop on the USA BMX Tour at the Gator Nationals and USA Cycling National Championships. 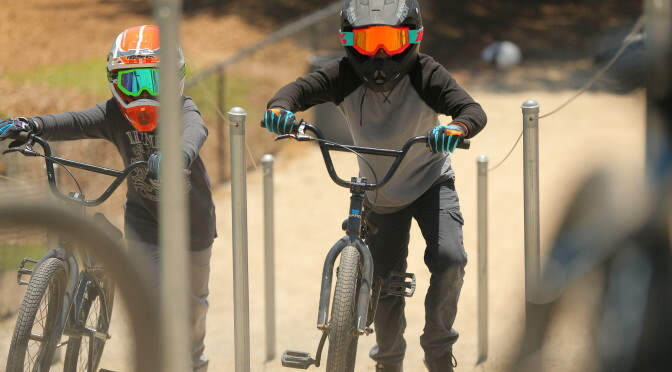 Noah Ramos, Payton Ridenour, Cam Mason and Kamren Larsen were all racing this weekend with Noah and Cam both making mains and Noah wrapping up his weekend with a solid 2nd place in Sunday’s 16x main and some added confidence in the bag. Payton Ridenour had an up and down weekend getting her feet wet in SX for the first time and gaining some good experience on the big hill. Best finishes for the weekend were a 4th and 2nd place in her class but all positive moving forward for the “P-Nut”. Kamren Larsen decided to step-up with the big boys on Saturday and sign up for Elite to see where he stacked amongst the best. 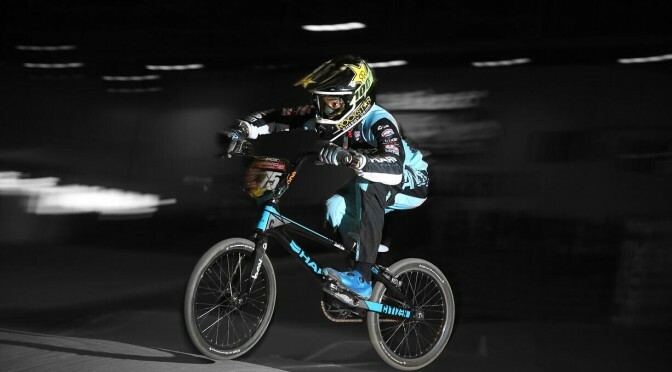 Kamren put in some good laps on Saturday but really upped his riding on Sunday during the National Championships, putting himself in the Final and placing 6th place, which is a great booster moving forward in his first few weeks as a Pro. 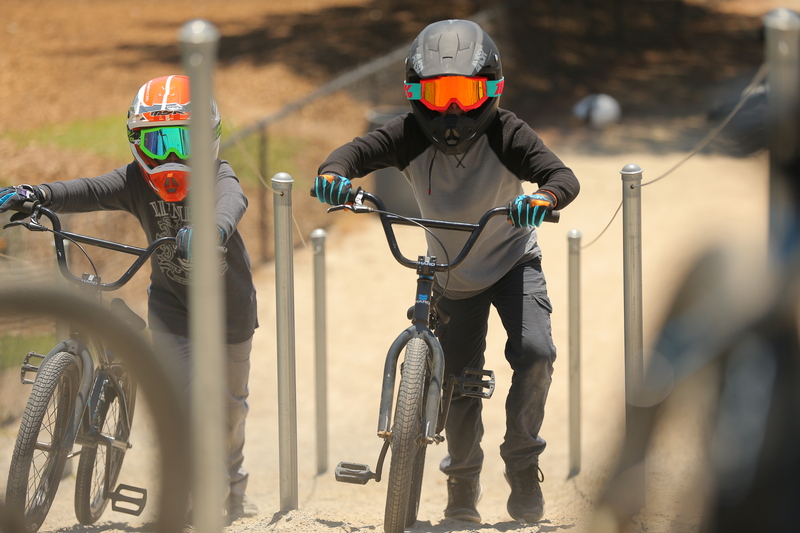 The 2018 Haro / US Development team shot some footage with Justin Kosman during a week-long camp down at Chula Vista’s Elite Athlete Training Center, as we head into the season. Kicking off our second year of this program, we’re excited to expand the team and document our journey along the way. 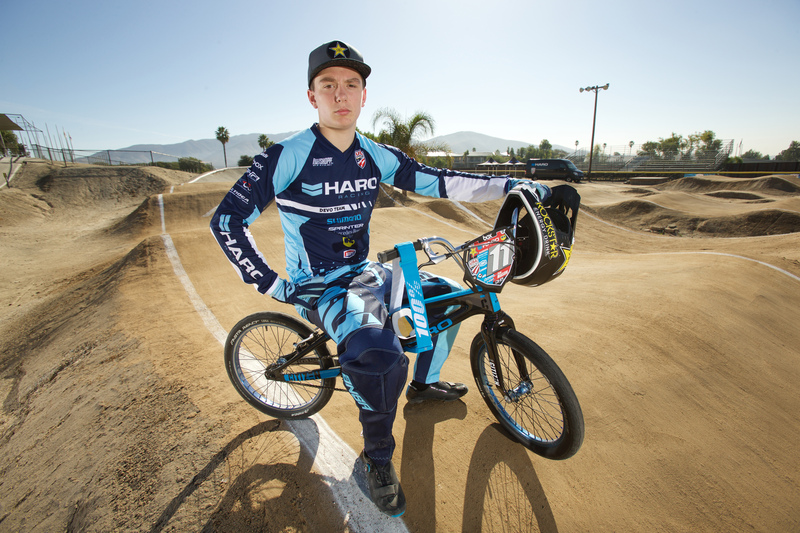 A good start to the year for the Haro/ US Development Team in Phoenix, Arizona at the USA BMX Winter Nationals. With new signing and rookie Pro Bryce Batten unfortunately out with an injury for his home town race, it was down to our other new Rookie Pro Kamren Larsen to fly the flag on the pro department side of the team. 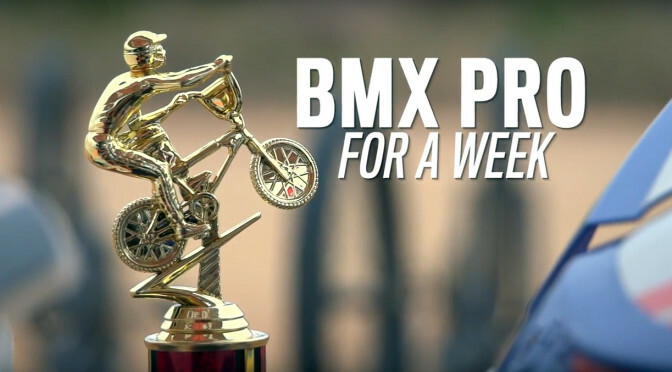 Kamren did just that, winning A Pro both Friday and Saturday and finishing off a perfect weekend taking the win in Pro / Open on Sunday as well and had a nice check in his pocket to take to the bank from his first weekend of racing Pro. For the girls, our crew of ladies hit the podium all weekend long with Brooke Craft coming in 2nd on Saturday, Payton Ridenour opening her account for the season with a 2nd and 3rd and Madelynn DeSantis taking home 2 wins and a 2nd place for the weekend. Noah Ramos and Cam Mason in 16x didn’t hit the podium in Phoenix but still both made the mains both days and put some solid laps in with lots to build on. In all, a good start to the year for the team, which now heads to Tampa, Florida for the Gator Nationals this coming weekend. 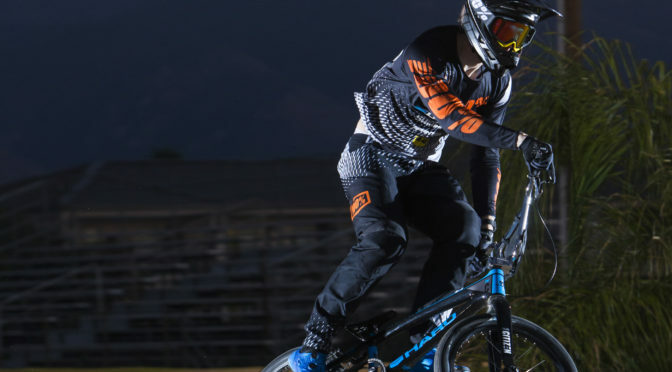 With both Bryce Batten and Kamren Larsen going Pro for 2018, we have given them a different look from the rest of the AM’s on the team with full 100% helmets and gear. The AM’s will be branded Answer Racing and Rockstar Energy. 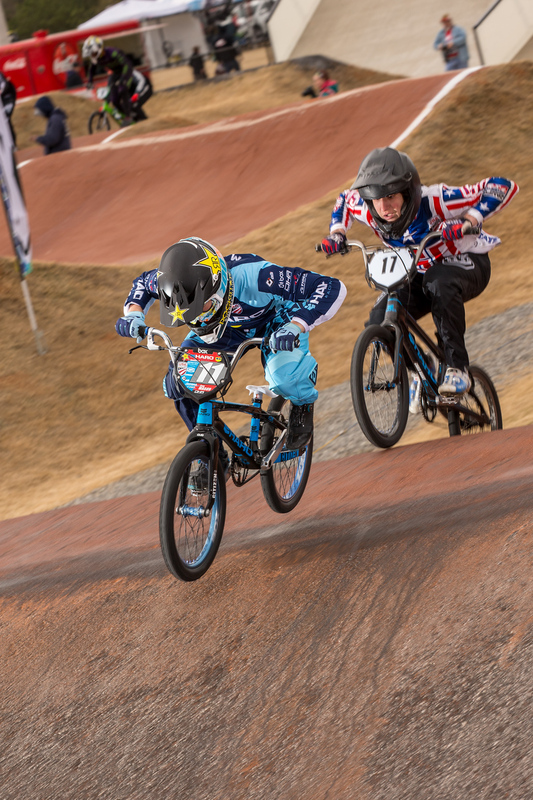 Our plan for the year is to ease Bryce and Kamren into the Pro Elite ranks with an emphasis on the USA BMX circuit, a few select European rounds and qualifying and racing the UCI World Championships. Bryce Batten has flown into San Diego to hook up with the US Devo Team to shoot some footage and and get some riding in down at Chula Vista for the week. Both Batten and Kamren Larsen will make their Pro debut in Phoenix for our squad so we’ve decided to give them a different look from the rest of the AM’s on the Team with full 100% helmets and gear. The Bluegrass Nationals in Louisville, Kentucky, on January 27 and 28 was the first stop for the USA Cycling Development team members who are based in the eastern United States. With a frigid and snowy start to 2018, the riders were itching to get some time on their bikes. First up was Payton “P-Nut” Ridenour, coming off an impressive 2017 season earning the Race of Champions #1, National Age Group #2, and UCI World #2 plates in the 15-16 Girls class. She definitely picked up where she left off showing rad skills on the short, tight track to take the win on Saturday and a 2nd on Sunday. Camron Mason, a new rider to the team in the 16 Expert class, showed great potential with a 6th on Sunday. As the season ramps up, we expect great things from these two as they continue to develop and train. 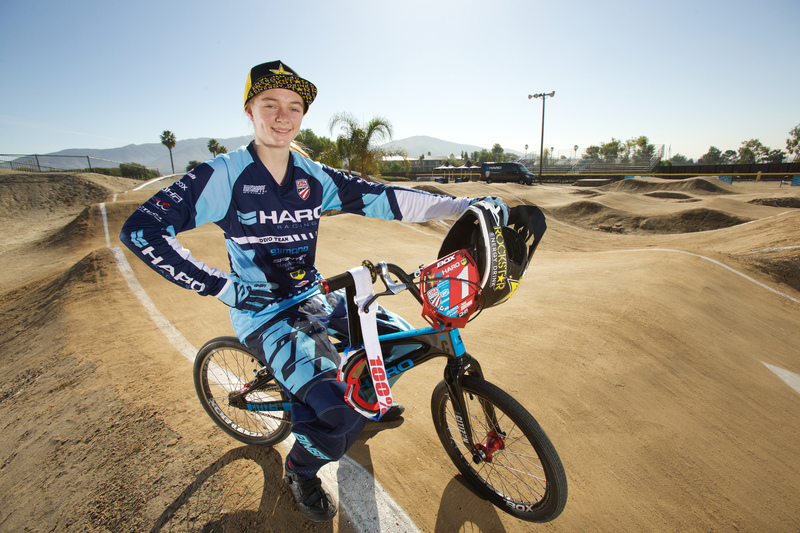 The next stop on the USA BMX national circuit will be in mid-February at the Winter Nationals in Phoenix, Arizona. This will be the first race for the full team. Can’t wait! 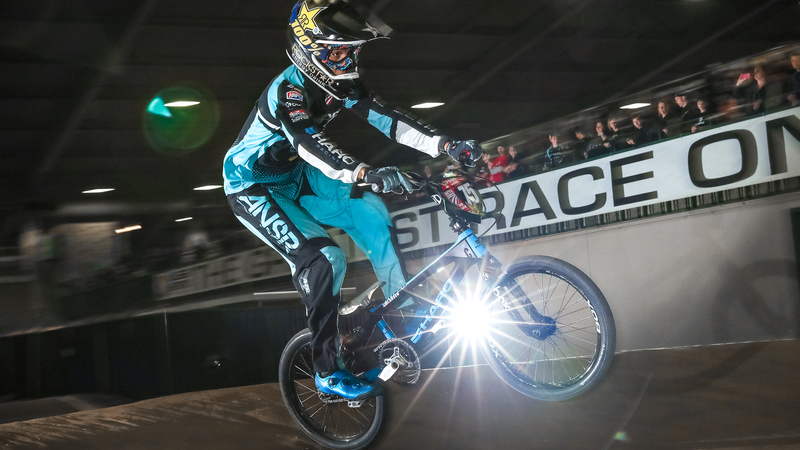 The final stop on the USA BMX National Schedule for 2017, as always, goes down in Tulsa, Oklahoma for the Grand Nationals, which is marked as both the most traditional and Greatest Race on Earth. The full Haro/US Junior Development Team line-up was in Tulsa looking to finish the year strong alongside celebrate the team’s first full year as the US Junior Development Team under Team USA’s umbrella. We’ve had a solid year with so much growth potential slated in the years ahead. Noah Ramos came into the Grands with some good momentum from the last few races in the highly competitive 16x and walked away from the weekend with a solid 3rd place at the Race of Champions and 4th at the Grands. Colin Whittington has also had some good results in the latter part of the year but could not quite put anything together at the Grands. He still “repped” strong and hung out in the pits after his racing to support his teammates. Payton Ridenour, always fighting for the win at any given race, took the Race of Champions win Friday night and backed it up with a 3rd at the Grands in Sunday night’s main event. Great year for the P-Nut. Kamren Larsen has been almost unbeatable at the last few Nationals of the year with wins in Bakersfield & Reno and had plans to continue that into Tulsa. During training 3 weeks ago, Kamren crashed out breaking his shoulder. With rigorous rehab, Kam managed to put himself back together in time for the Grands. He took the win Friday but unfortunately went down battling for the coveted 2nd spot in Sunday’s main. He consistently gives it his all. It was a great weekend and year and we look forward to sharing more information on our expansion of the US Junior Development program in the month ahead. We extend gratitude to all of our sponsors for their support this year as we head into the off-season. 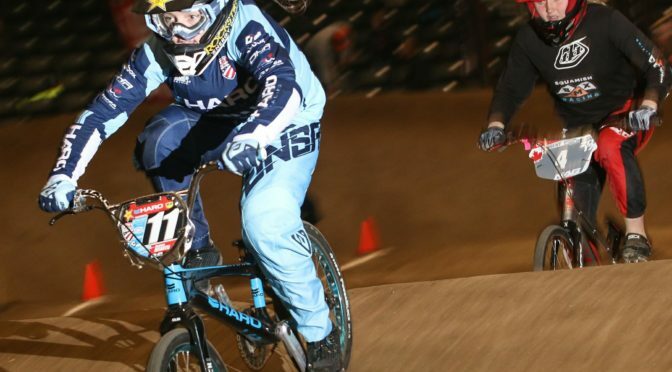 USA Cycling, Dale Holmes Racing, Rockstar Energy, Haro Bikes, Barona Casino, Mercedes-Benz of San Diego, wd40Bike, ride100percent, Shimano, ODIGrips, Answer Racing, Tioga, Box Components, Stealth Hubs, Wheelbuilder.com and KMC Chain. 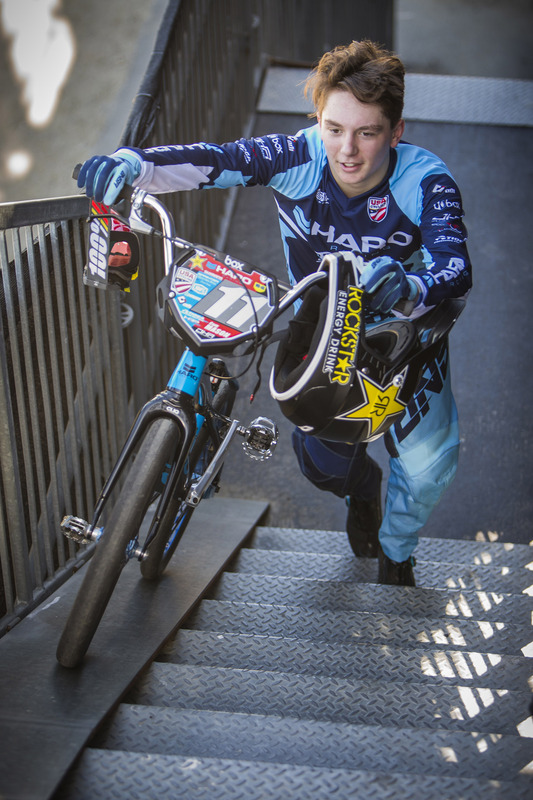 Another perfect weekend for Kamren Larsen at Reno, Nevada for the Black Jack Nationals – winning 17-18x both days. Noah Ramos also put in a good showing making the 16x main both days and grabbing a 2nd place on Saturday. 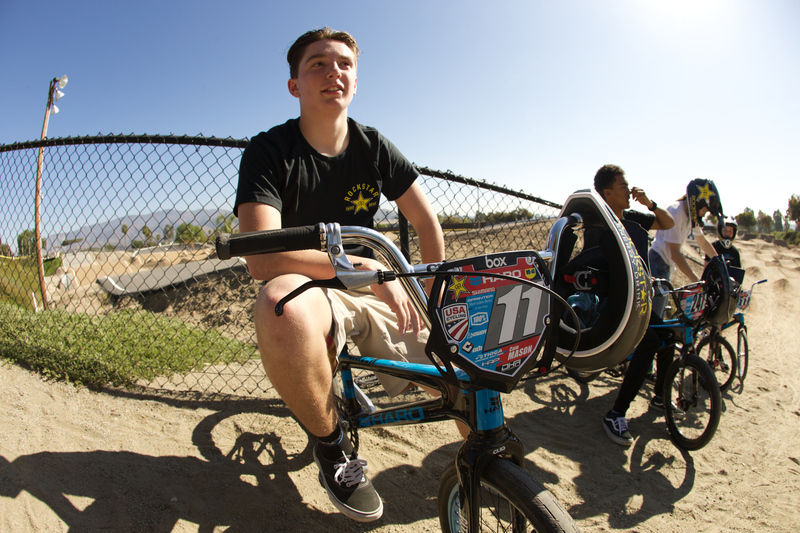 Up next, USA BMX Grands next month. 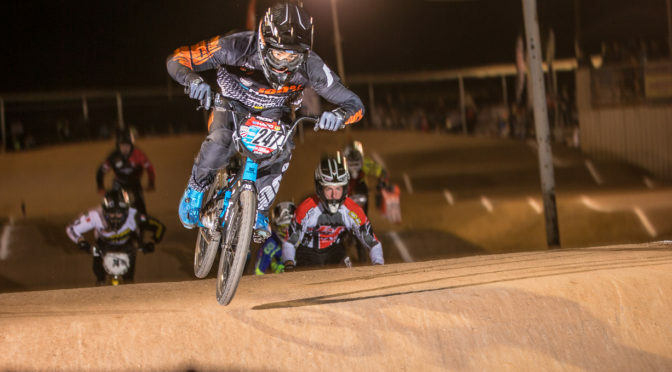 The 2017 USA BMX National Series continues as we head into the tail-end of the season with this past weekend’s stop at the new, improved Metro BMX Track in Bakersfield, California for the Fall Nationals. Our Full US Junior Devo Team line-up made the trip out to Bakersfield in hopes of grabbing a few more points heading into Reno the weekend of October 13-15th and the Grands in Tulsa over Thanksgiving weekend. Payton Ridenour was riding strong even though the results didn’t show it. Bad luck struck for the P-Nut crashing out both days in the mains, while batting it out. Still, thankfully, no injuries and we know she will come back strong as she always does. Noah Ramos and Colin Whittington rode consistently both days. Both made the main events and Colin had his best ride with a 2nd and Noah with a 4th Sunday. Kamren Larsen was riding on his home track and with lots of family and friends track-side he was looking to put the hammer down, which he surely did, easily winning both days in a highly competitive 17-18x class continuing a great season. As always, a big thanks to all our Team Sponsors for supporting our program and we look to finishing off the season strong. 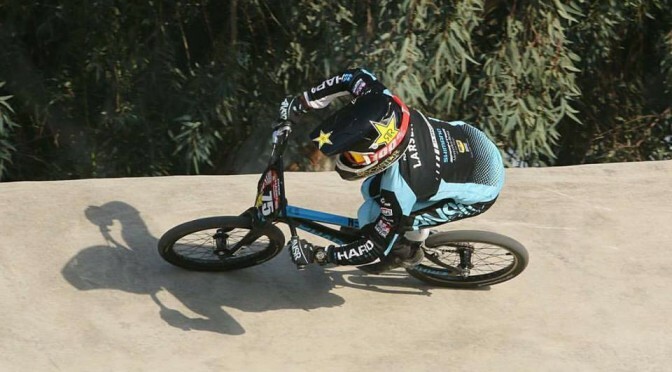 USA Cycling, Rockstar Energy, Haro Bikes, Dale Holmes Racing, Mercedes-Benz of San Diego, WD-40 Bike, ODI Grips, Answer Racing, Ride 100percent, Shimano, Box Components, USA BMX, Stealth Hubs, KMC Chain and Wheelbuilder.com. 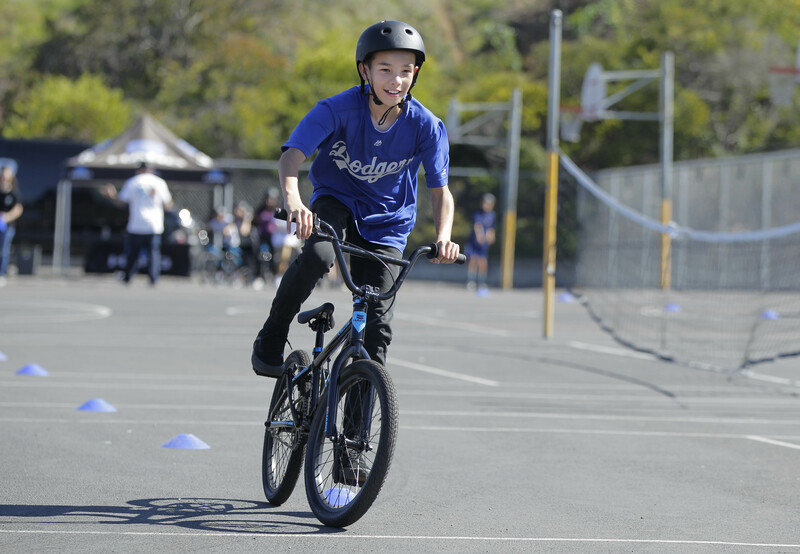 We had a great BMX Pro for a Week YMCA Camp run this summer with 10 weeks straight. 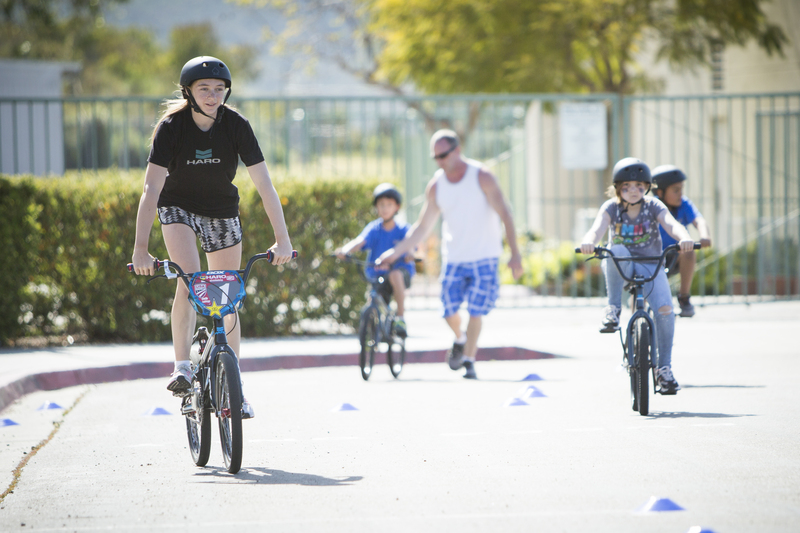 We’re grateful for the YMCA of San Diego’s faith in us to deliver high-quality programming. We’ve enjoyed tremendous growth and not only expanded in the number of Y’s in the county we work with but also in the number of campers each week. We thank both our regulars and our newcomers for their support. We have an 86% retention rate on campers and we love it when they bring siblings, cousins and friends. It is through many strategic partnerships that we continue to grow and serve more kids in our local communities. Thanks to all for taking part and we look forward to growing together.